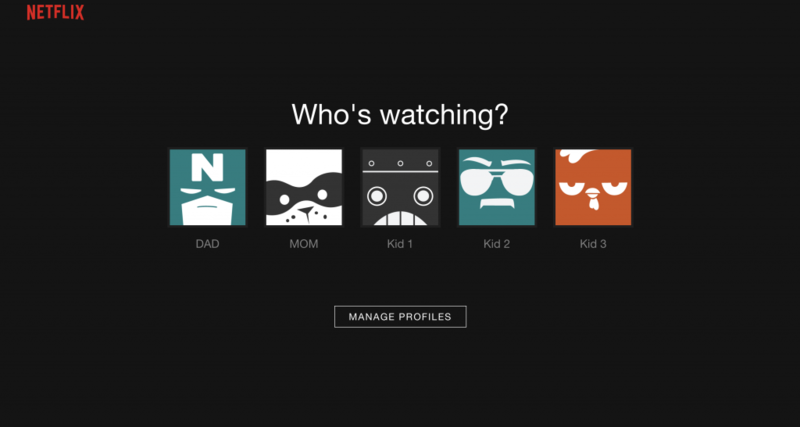 Here at Kibosh, we often get asked the question “does Kibosh filter Netflix?” With Kibosh filtering, you certainly have the ability to entirely block Netflix for individual devices in the home, which may be useful as a temporary measure or punishment. However, in the era of cord-cutting and the vast catalog of quality entertainment on Netflix, many parents are wondering if there is a way to protect their kids from viewing unwanted material. Fortunately, there is a way to create a relatively kid-safe viewing experience on Netflix, while allowing adults to still view their shows. The solution is not perfect, but we fell it should be sufficient for most families. 1. 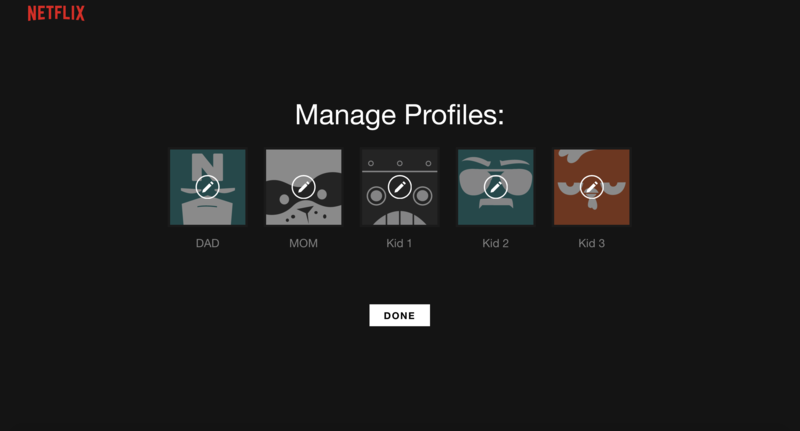 We recommend creating a profile for each member of the family. After doing so, you will see the following screen upon login. 2. Click on the button that says “MANAGE PROFILES”. 3. From here you will have the ability to edit the profiles of each family member, click on a profile you would like to manage. 4. Here you will see a dropdown that says “Allowed TV shows and movies”. Select the appropriate setting for the profile you are editing. Each child can be set to a different level. 5. Now, go to the upper right hand corner of the screen and select your account. 6. 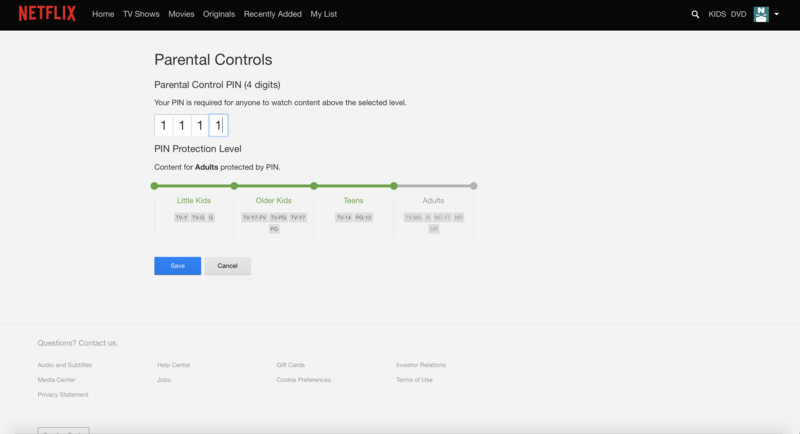 In the “SETTINGS” section, click on “Parental Controls”. 7. Here you are going to set your Parental Controls Pin (4 digits), and select the level of protection that will require a PIN. We commented leaving the default setting of “Content for Adults. This is were the solution isn’t perfect. All of your children will only see content in their profile to the level you selected, however there is nothing from stopping a younger child logging into an older child’s profile and seeing more mature content. However, no child will be able to see any adult related content without the pin. 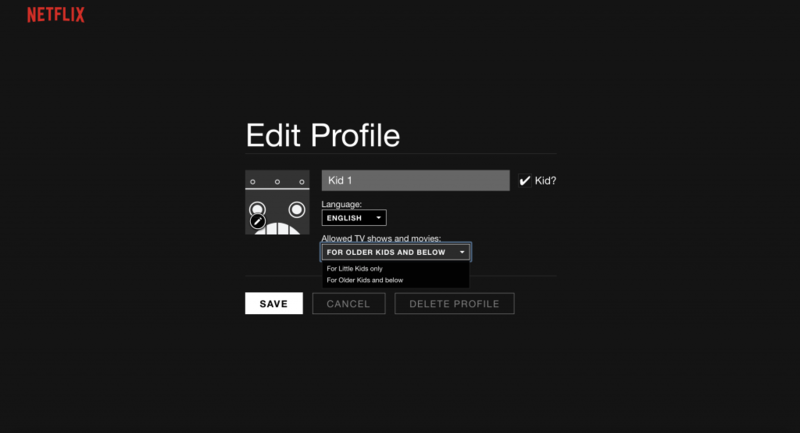 Keep in mind, with Kibosh products you also have the ability to block Netflix during certain hours, like homework time! We here at Kibosh hope this was helpful, please visit our website at www.KiboshFilter.com to see all of our parental controls solutions.